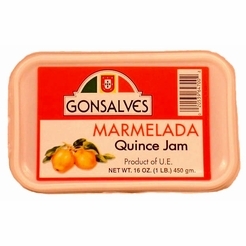 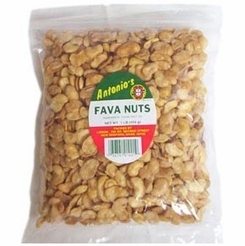 Gonsalves Marmelada Quince Jam 16 oz. 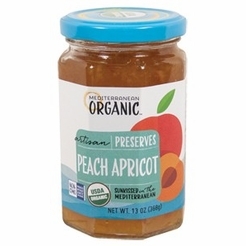 Mediterranean Organic Peach Apricot Preserves - 13 oz. 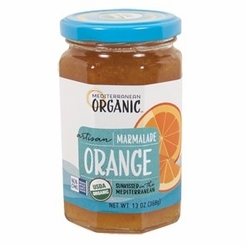 Mediterranean Organic Orange Marmalade 13 oz. 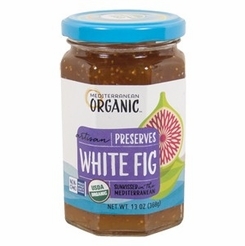 Mediterranean Organic White Fig Preserves 13 oz. 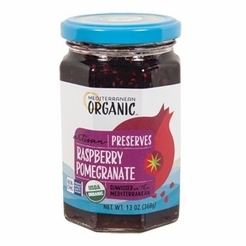 Mediterranean Organic Pomegranate Raspberry Preserves 13 oz. 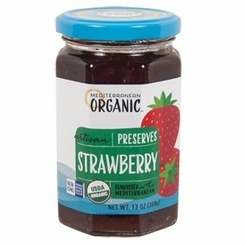 Mediterranean Organic Strawberry Preserves 13 oz. 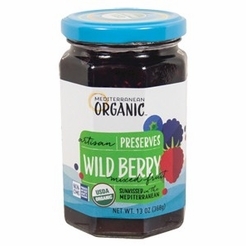 Mediterranean Organic Wild Berry Preserves 13 oz. 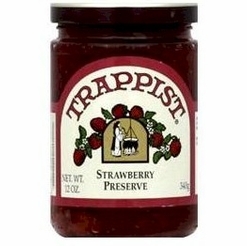 Trappist Strawberry Preserve 12 oz. 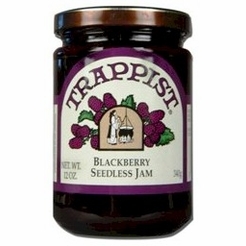 Trappist Blackberry Seedless Jam 12 oz. 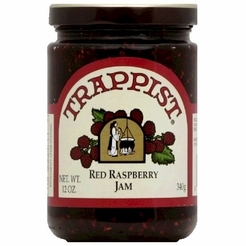 Trappist Red Raspberry Jam 12 oz. 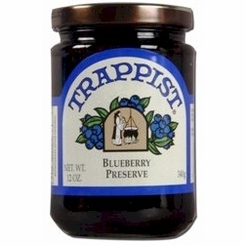 Trappist Blueberry Preserve 12 oz. 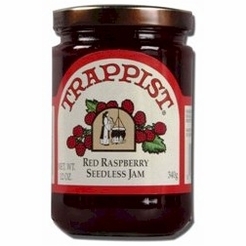 Trappist Red Raspberry Seedless Jam 12 oz. 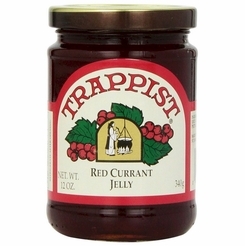 Trappist Red Currant Jelly 12 oz. Trappist Rhubarb Strawberry Preserve 12 oz. 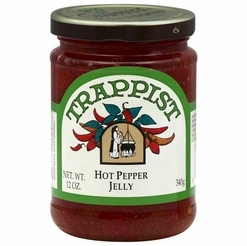 Trappist Hot Pepper Jelly 12 oz. 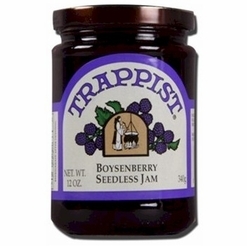 Trappist Boysenberry Seedless Jam 12 oz. 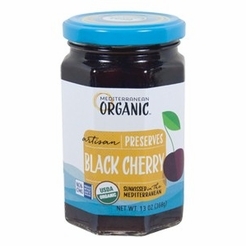 * Mediterranean Organic Black Cherry Preserves 13 oz. 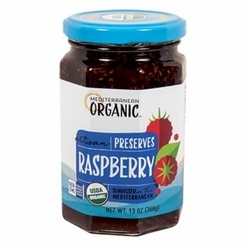 * Mediterranean Organic Raspberry Preserves 13 oz.